Just a few weeks after suffering his first defeat since November 2013, Neil Magny is stepping in to fight Erick Silva in the co-main event at UFC Fight Night 74. 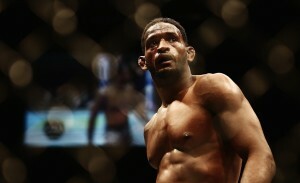 Magny was submitted by jiu-jitsu great, Demian Maia in round 2 at UFC 190, August 1, snapping a seven-fight win-streak. Silva was supposed to fight Rick Story, however was forced from the bout due to injury. Silva is riding a two-fight winning streak, moost recently he submitted Josh Koscheck via guillotine choke at UFC Fight Night 62. UFC Fight Night 74 takes place August 23 at SaskTel Centre in Saskatoon, Saskatchewan, Canada.